Given its start as a little open source project, Boxee has done very well for itself as a hub for streaming video. Now they want to give users a place to create and share their own video, like Instagram does for photos. 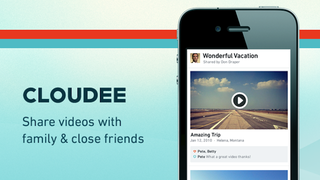 But can Cloudee topple Viddy and SocialCam, the early entrants in the video sharing space? For now, Cloudee will be an iPhone-only affair, and is currently invite-only beta status. Users can share video links that can be viewed in any browser, but for the most part, all activity takes place on the phone. Boxee, confident that this is the next big thing for the company, is offering unlimited storage to users, encouraging you share often.